April may be just around the corner, but this is no April Fool’s Day joke. 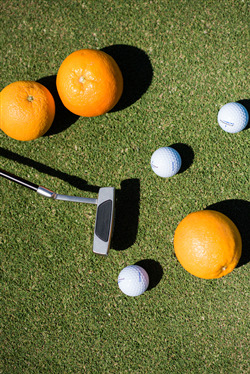 For the month of April, Inn on the Lakes is offering Stay & Play Citrus Golf Trail rates of $229 for the first person and only $1 for the second person at the boutique hotel. The No Foolin’ Golf Package includes hotel accommodations in an upgraded guest room, one round of golf for two people (includes cart & green fees), hot breakfast for two at Chicanes Restaurant (located on-site) and $1 draft beers during your entire stay. To reserve your No Foolin’ Golf Package, please contact Phil Hatfield at guestservices@innonthelakes.net or (863) 471-9400. Make sure to mention “April Fools” when booking. Room pricing is based availability, double occupancy and does not include tax. Offer is valid for stays in April 2019 and cannot be combined with any other offer or discount. Sebring’s Citrus Golf Trail, located just 60 miles south of Disney World, has been dubbed by many as the Value Golf Capital of America. The area features a collection of quality, affordable golf courses that offer history, value, fantastic golf, and the friendliest service anywhere. With courses that build on the natural beauty of South Central Florida (picture moss-covered oaks and preserves that provide a picturesque backdrop), golfers may find it difficult to keep their eyes on the ball. Wet and dry, sandy and woody conditions combine to create challenging and fun courses for any skill level on Sebring’s fairways. In Sebring, you’ll find the internationally-acclaimed Sebring International Raceway, nearly 100 crystal clear lakes for fishing and boating, more than a dozen of Florida's most affordable golf courses, one of Florida’s oldest state parks, and a reminder of why everyone loves authentic Florida. Our gently rolling hills, orange groves and charming small towns make this a relaxing country getaway with a central location. For more information, www.VisitSebring.com or call (800) 545-6021.